Object recognition in images may not be fresher than new socks, but it is definitely a hot topic in the Search Engine Optimization (SEO) world. The object recognition concept in computer vision has been around for decades, but it is only recently that machines and models became strong enough to allow large-scale image recognition. These current advances lead us to believe that object recognition is going to play an important role in the future of SEO. Well beyond its search engine, Google has become a major actor in artificial intelligence. In fact, a few months after acquiring some of the world’s most advanced robotic technology with the purchase of Boston Dynamics in December 2013, Google acquired DeepMind and Jetpac in 2014, giving itself access to some highly advanced artificial intelligence and image understanding technology. What Is Object Recognition Anyways? 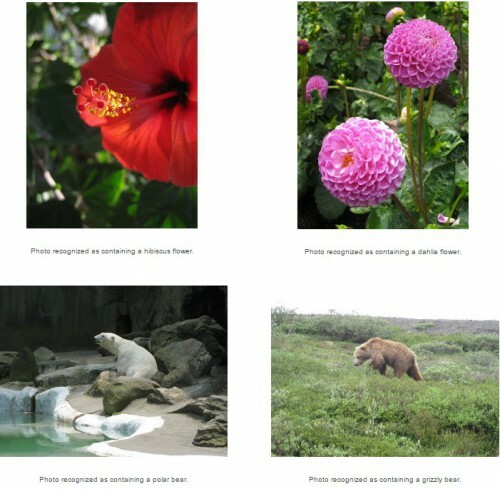 Just like children learn how to recognize a multitude of objects no matter their size, scale, color, texture, or angle, the idea behind object recognition in computer vision is to teach machines how to locate and identify objects in a picture or video sequence. As if this was not amazing enough, researchers and engineers are now using machine-learning algorithm, which means computers learn from data and keep getting better over time without further programming. How Can Object Recognition Impact SEO? Having your images (and videos) ranking on the first page of Google is a great way to bring more traffic and potential leads to your website. Google currently ranks images based on several external factors including name of the file, text surrounding the image, alt tags, and possibly EXIF metadata. By bringing object recognition to the equation, Google could add an extra set of ranking factors that would improve accuracy in search results. As a consequence, a customer typing “red high heels” in her search engine would not be shown pictures of pink high heels, leopard print high heels, or red flippers. Because this will significantly improve user experience, we are assuming that it is only a matter of time before Google decides to implement image recognition to its search algorithm. This will bring SEO to another level in which the content of any photos placed on a web page will need to be well thought in advance since a page displaying photos of birthday cakes would become more relevant to the query “birthday cakes” than any equivalent website displaying photos of wedding cakes or no photos at all. What About The Future Of SEO? Shame on you if you are thinking “object stuffing in images”! Although this may be possible, we believe that in the long term Search Engine Optimization is going to continue heading toward semantic, contextual, and conversational search. The focus will most likely continue to be on the meaning behind words, not just the words or keywords themselves. Google is already working at combining image recognition and knowledge graph in order to distinguish words with multiple meanings like Jaguar (the car brand versus the animal). These revolutionary advancements will significantly improve the image search portion of the web and will benefit any business that takes advantage of them. No matter the size of your business and the type of products or services you offer, you should start using appropriate photos as a way to bring in more web visibility and ultimately sales. My word of advice is to start thinking about pictures at the keyword research stage of your digital marketing campaign. Google’s image understanding algorithm is already successful at recognizing abstract concepts in images such as dance, meal, and kiss, so fear not that your services are not visual enough. Be smart about your photos and stay ahead of your competitors! Video Marketing: The Essence of Creating a Video that has Impact!